Football can have a major impact on mental health. It affects emotions, relationships, identity and self-esteem. For young men in particular, the opportunity to express tension and emotion is important to maintaining health. Young men are at the highest risk of suicide – most common cause of death for young men under the age of 35. Before, it seemed a little unlikely to fans that footballers, who live such amazing lives in comparison to ours, could possible find themselves being depressed, and even consider suicide as an option. However, when Gary Speed sadly took his own life, things really were put into perspective. Everything seemed fine on the outside, but it all got too much for him. Mental health awareness should be made available for all age groups, from the fans, players, match officials and football clubs in general. There certainly has always been a stigma attached to mental health that’s for certain, some are too scared to confront problems, some are too embarrassed. But the need to highlight this in football could bring a wave of optimism to a lot of fans and fellow professionals. Stress for example can lead to depression and in football there’s pressure and stress at every turn. It is very important that the football community can stand up and talk about problems whatever your job. Football can be a highly pressured environment, certainly not just on a Saturday but all through the week – constantly scrutinised by the press and fans. There’s not many environments where that happens, constantly being scrutinised by thousands, even millions of people week in, week out. Help is needed, not just the young players but also the older pro’s whose careers are nearly at an end or have ended. When you career is over as a footballer, and you are out of limelight, the risk of spiralling into depression is just as prominent, a footballers career is short, and to lose it all can be extremely difficult for an individual. 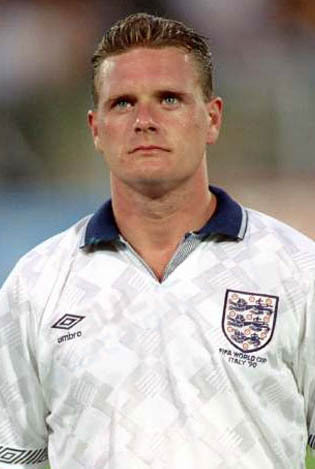 Paul Gascoigne stand’s out, he had trouble during his career, and continues to suffer now. Maybe he could had more help when he was playing, which could have meant a different outcome for his life after his professional career was over. If we can highlight this issue more in life and football the world could be a better place for more understanding of this invisible disease. I think its important to stress that, even though we talk about mental health in this article in relation to football, we are not forgetting or ignoring its effect on everyone, whether it’s in sport, or outside of sport. However, in football it is something that isn’t thought about enough and it is vital to tackle this straight on. Previous articleManchester City, Best attacking side in the Premier League?